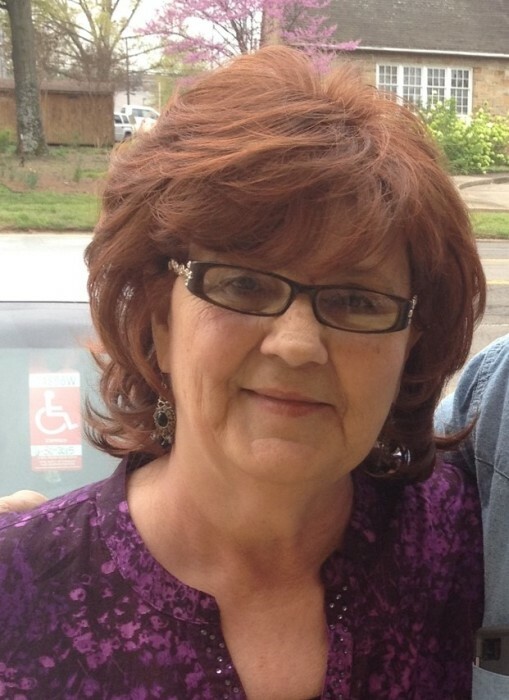 Lorrie Marie Meyers, 61, of Dardanelle, passed away, Sunday, March 17, 2019 at Arkansas Hospice River Valley Home in Russellville. The daughter of Floyd and Sylvia Thomas, she was born February 6, 1958 in Missoula, Montana. She married Bill Meyers, on February 14, 1975 at Vallejo, California. She was a Homemaker and a devoted wife, mother, grandmother and great grandmother. She was a member of the Grace Baptist Church where she was the church librarian. She enjoyed gardening, herbology, crafts, substance abuse counseling, homemaking, interior design and spending time with family. She was preceded in death by her parents and a son, Jeff Meyers. Lorrie is survived by her husband, Bill Meyers of Dardanelle; a son, Daniel Meyers of Russellville; Three daughters, Toni Meyers, Jaime Meyers and Angel Meyers all of Dardanelle; two grandchildren, Brandon and Brittini Meyers and a great granddaughter, Atheina Meyers all of Russellville. A Memorial Service will be held at 11:00AM, Saturday, March 23, 2019 at Grace Baptist Church. Cremation arrangements are under the direction of Humphrey Funeral Service. Memorials may be made to Arkansas Hospice River Valley Home,220 John Babish Lane, Russellville, AR 72801.